Aside from being trusted globally by important beauty influencers, the overall wear, availability, and quality of Esqido eyelashes is what has millions of lash-loving individuals hooked. Esqido also offers their own rewards system, where every purchase you make with them gives you points that you can use towards future purchases to receive free bonus products and discounts. 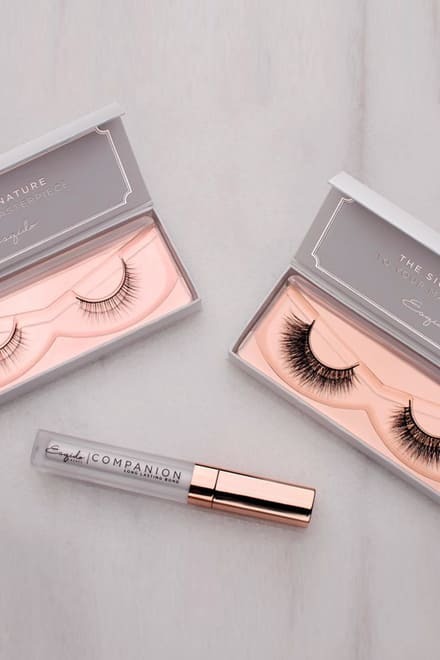 This company is mostly known for its Esqido branded mink eyelashes, which are a type of non-synthetic multi-use lash that is quite difficult to master the production of, but these guys take on this challenge confidently. Some of their most popular products include the Esqido Lashlorette lashes, the Esqido Unforgettable lashes, the Esqido Little Black Lash lashes, the Esqido Oh So Sweet lashes, the Esqido BFF lashes, the Esqido Voila Lash, the Esqido Lashmopolitan lashes and the Esqido Companion Eyelash Glue. The Esqido Eyelash Glue, in particular, seems to be noticeably gaining popularity because of its long-lasting hold that keeps your stunning falsies in place all day long. What Are Esqido’s Unisyn False Eyelashes? Known by makeup addicts and enthusiasts as the world’s first true premium synthetic lashes, Esqido’s Unisyn false eyelashes are carefully and expertly handcrafted, with only top-quality, ultra-fine synthetic fibers, which are then arranged with different lengths, volumes and patterns to produce a multitude of versatile looks that can complement just about any makeup look, even a completely bare face. The individual lashes are arranged on a flexible cotton band that is not only soft and comfortable when applied to the eyelid, but also simple to trim and adjust if the set does not quite fit your eye size. 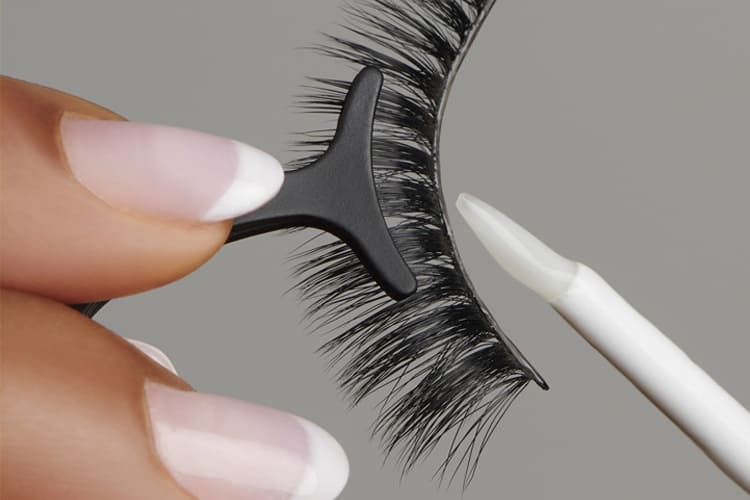 All of the Unisyn falsies are multi-use, and unlike many false eyelashes that wear down quite quickly, customer reviews have expressed the wearability of these durable additions to your overall look. Priced around $22.00, Unisyn lashes are more affordable than some of the synthetic fiber, as well as the natural fiber options on the market. Best of all, if being vegan-friendly is important to you, Unisyn lashes are not derived from animals. Light volume, best selling synthetic lashes, designed for multi-use and handcrafted with a cotton band for added comfort. Medium volume, best selling synthetic lashes, designed for multi-use and handcrafted with a cotton band for added comfort. Medium volume, newly released synthetic lashes, designed for multi-use and handcrafted with a cotton band for added comfort. Full volume, newly released synthetic lashes, designed for multi-use and handcrafted with a cotton band for added comfort. What Are Esqido’s Mink False Eyelashes? The Esqido Mink Lashes differ quite greatly from their synthetic Unisyn option, but they ultimately serve the same purpose of making your eyes look absolutely fabulous, adding that extra bit of definition you might want, in order to polish and complete your final look. 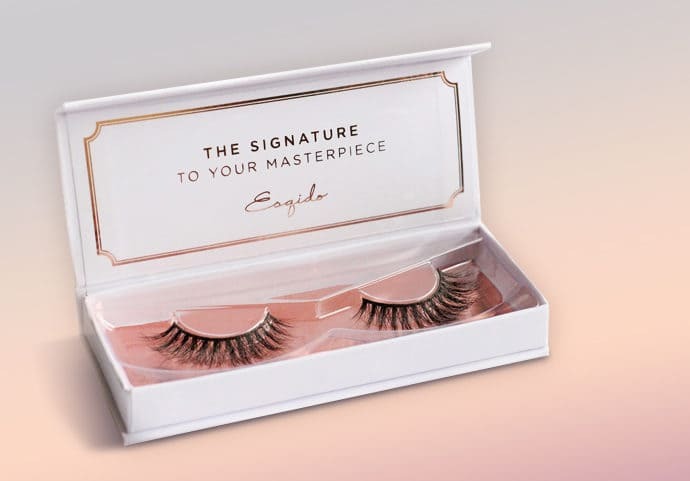 The mink false eyelashes are basically why Esqido began their company in the first place, and these designs are definitely the company’s signature product collection. These insanely lightweight lashes feel basically as if tiny feathers landed on your eyelids, and they are ridiculously comfortable, you could almost sleep in them, (but please don’t try this at home). Sometimes, when you apply falsies, it feels like a butterfly of some sort has landed on your natural lashes, but this is not the sense you get with Esqido’s Mink Lashes. They are much more natural and conform easily to your own unique eye shape. In addition to offering their classic upper lash designs, they also provide some choices for the lower lash line, so that you can have the full volume lash balance, especially in the case of some type of event where you want your eyes to look 100% on point. As the name implies, Esqido Mink Lashes are made from top-quality, premium mink hair, so they are not vegan-friendly for those who only use or consume vegan products. Just as with the Unisyn option, these Mink Lashes are handcrafted with a flexible cotton band, for extra added comfort and wearability. These falsies are multi-use, and numerous happy customers report their sets lasting many wears without deteriorating or losing quality. Most sets are priced between $24.00-$32.00, which is excellent for a real mink hair pair of false eyelashes, which can easily cost upwards of $50+ from other retailers. As with the Unisyn lashes, Esqido’s selection of their Mink False Eyelashes is extensive, even more so than its synthetic-fiber relative. If you have decided to go the mink-route, finding the pair that will suit your wishes most is important, because mink falsies tend to be a tad more expensive. Here, we provide a brief overview of Esqido’s most popular Mink false eyelashes, so you can decide on your own personal dream pair. Light volume, premium mink hair lashes, designed for multi-use and handcrafted with a cotton band for added comfort. Medium volume, premium mink hair lashes, designed for multi-use and handcrafted with a cotton band for added comfort. Full volume, premium mink hair lashes, designed for multi-use and handcrafted with a cotton band for added comfort. Light volume, lower-lash premium mink hair lashes, designed for multi-use and handcrafted with a cotton band for added comfort. The official Esqido lash glue, known sometimes as the Companion Eyelash Glue, is a carefully formulated adhesive, designed specifically for Esqido’s multitude of handcrafted mink and synthetic false eyelashes. What stands out the most about this adhesive, is probably the fact that the formula is especially sticky, which is great when you want your falsies to stay glued to your eyelids all day or night long. At the same time, the Companion Eyelash Glue is simple to peel off from your cotton eyelash band, which is the process that should take place once you have removed your lashes and are ready to safely store them for next time. Being able to completely eliminate any remaining adhesive helps prolong the life of your falsies dramatically, so that you end up paying less money for replacements in the long run. Gentle on even the most sensitive of eyes, this companion won’t tug or pull out your own lashes, so you won’t need to worry about any possible damage. The Esqido Companion lash glue contains a hypoallergenic formula designed for the most sensitive of eyes. It is formaldehyde free, 5-free, latex-free and paraben free. Ideal for those with allergies and irritations to other often chemical-filled lash glue formulations. Their newest product to choose from, the Esqido Gel Eyeliner Pencil offers a combination of the gel liner color payoff, with the added convenience of having the application be from a pencil. Gel eyeliner pots can become messy and usually require a brush to be carried around for application, but this Esqido liner does the trick. In addition to the distinct formulation, the design is also quite interesting and time-saving. The top part of the pencil holds a silicone ring, which keeps the retractable pencil airtight sealed so that the soft and smooth formulation does not dry up or become crumbly over time. Additionally, the bottom section of the pencil has a pull out built-in sharpener, to enhance the possibility of precise application. Although the Esqido Gel Eyeliner Pencil is relatively new, it seems to be already quite promising, and customers have been quickly falling in love with this convenient and well-formulated device. Gel Eyeliner Pencil formulated without sulfates, phthalates, parabens, formaldehyde or fragrance. Also 5-free and latex-free, ideal for even sensitive eyes. What Are Esqido Lash Kits? 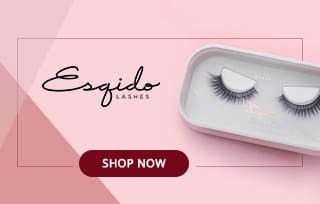 Esqido Lash Kits are essentially an all-in-one package that contains 3 different selections of Esqido false lashes, paired up with a vial of the Companion Eyelash Glue. There are currently three different sets that are available from Esqido; the Raven’s Wing Lash Kit, the Dove’s Wing Lash Kit and the Unisyn Lash Kit. The kits are priced between $76.00 and $110.00 and are elegantly packaged in a collectible display case, which not only keeps the falsies safe, but also makes lash storage simple. The Lash Kits are limited edition and do sell out rather quickly, but if you are able to get your hands on a box, they make an exceptional gift to either yourself or a loved one. Comes packed with the Oh So Sweet Mink Lashes, Unforgettable Mink Lashes, Lashlorette Mink Lashes and the Companion Eyelash Glue for all of your light volume lash looks. Comes packed with the Black Magic Mink Lashes, Illumina Mink Lashes, Midnight Symphony Mink Lashes and the Companion Eyelash Glue for all of your full volume, high impact lash looks. It is challenging to establish the flaws with a company like Esqido, but as with all things in this world, nothing is 100% perfect. Some of Esqido’s newer products lack many established customer reviews, so they are maybe a bit more risky to purchase. This, however, is outweighed by the reported quality of their products that have already been on the market for a while. When a company produces superb quality products time and time again, it is expected that their newest releases will also be of similar, if not better quality. Additionally, certain very popular lash kits and eyelash sets can sell out quite quickly, and may not come back in stock for a while, so in these cases, an alternative may need to be purchased, or patience is required, which is not always convenient especially if you need a specific selection last minute. Finally, although Esqido’s rewards system is a nice added benefit, it can take quite a while to rack up enough points to receive a significant discount. This flaw is maybe made up by the little perk bonuses they offer, like giving you 500 extra points when it’s your birthday. Overall, Esqido has a lot to offer when it comes to quality, variety, ease of application, durability, and price. They seem to really have mastered the art of producing lightweight, easy to apply lashes that look as natural as possible, and for these reasons, it is clear they have the user solely in mind. 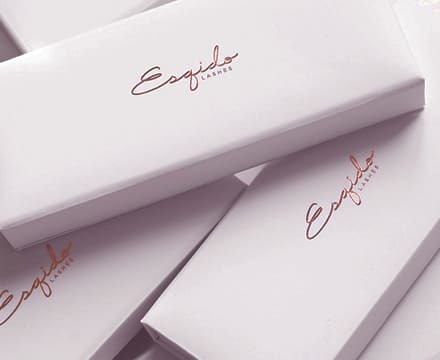 Esqido has gained exceptional momentum over just the past couple of years, establishing itself as a reputable false eyelash provider, that even makeup professionals and celebrities trust. The fact that people from all walks of life find these falsies to be superb, expresses the versatility of these lashes, and just in general how well they are suited for all times of day, for all eye shapes and for all occasions. Most of all, Esqido provides options, which is essential in this day and age, because all of their choices are readily available on the same convenient website. Furthermore, those who prefer synthetic over mink lashes, or the other way around, can find various volumes, lengths, and styles of both types. As with all false eyelashes, it is important to trim down and shape your lashes to size when you receive them; this step is vital because the length of all eyes varies and needs to be personalized in order to get a full understanding of how a specific set of lashes true compliments your face. 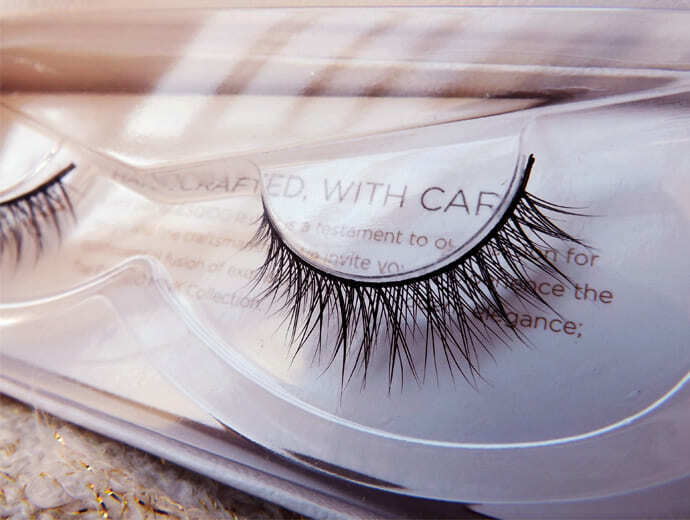 Most of all, be sure to take good care of your new lashes by cleaning them properly after every application and storing them safely in a durable container. Companion lash glue is outstanding. My falsies stayed put all day, really glad I stumbled upon this article. Brilliant lashes! Lashlorette is my favourite by far. Simply stunning!! This Esqido review was a quick read and taught me a lot. Thank you for the information.